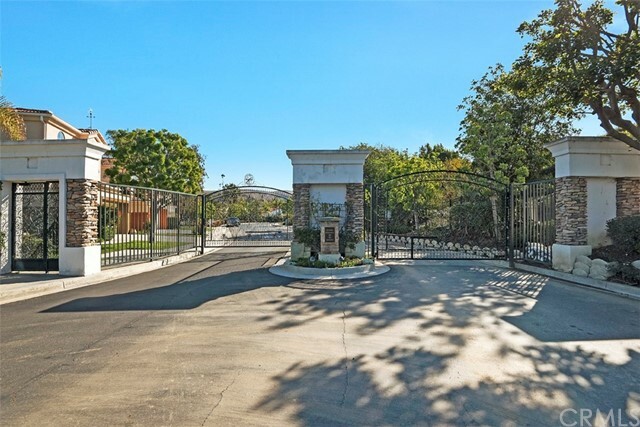 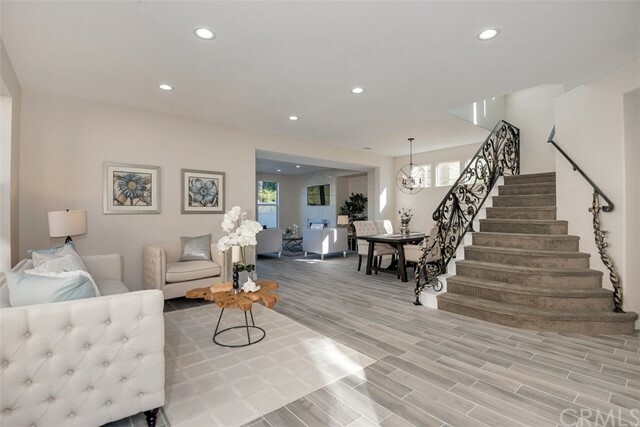 Live in luxury with this stunning, 5-bedroom, 3-bathroom home, located in the prestigious gated community of San Juan Hills. 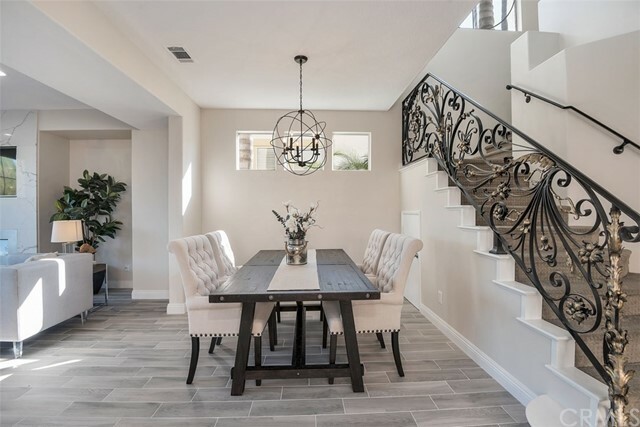 This beautiful 2,500 sq ft property offers a delectable elegance that is truly one-of-a-kind. 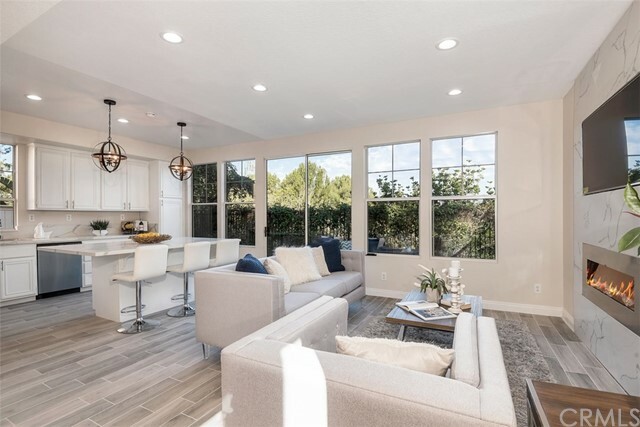 Completely remodeled with top-quality appliances and upgrades, the open floor plan is an entertainer’s dream. 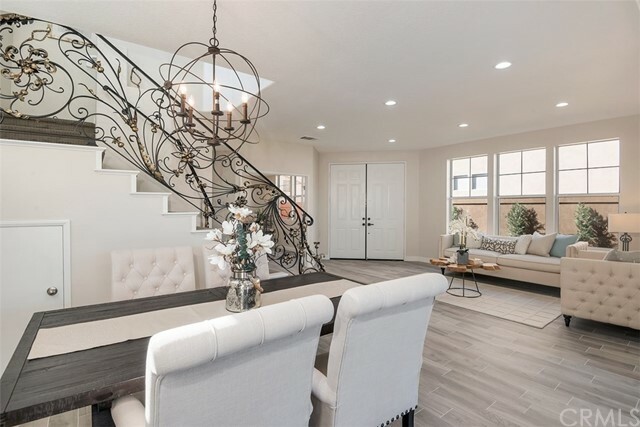 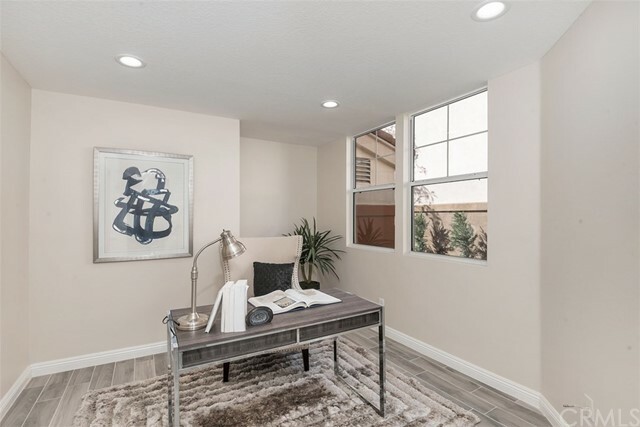 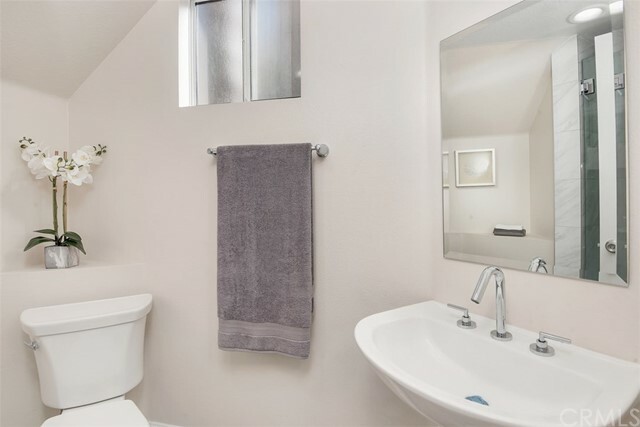 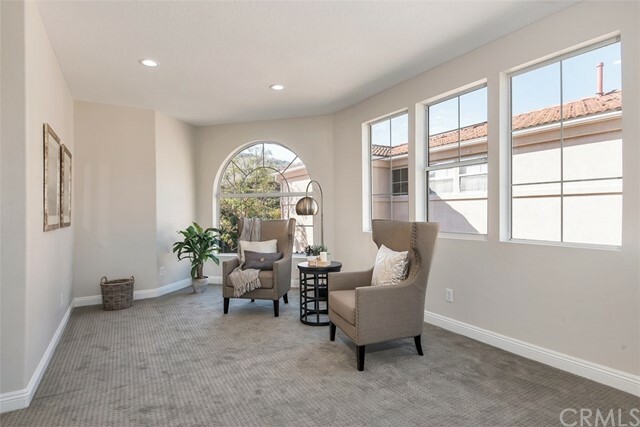 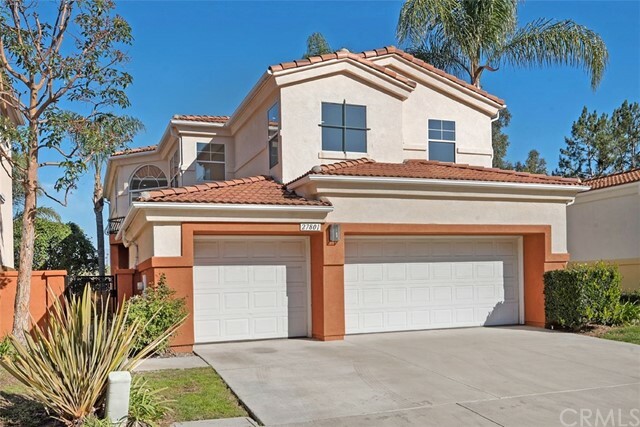 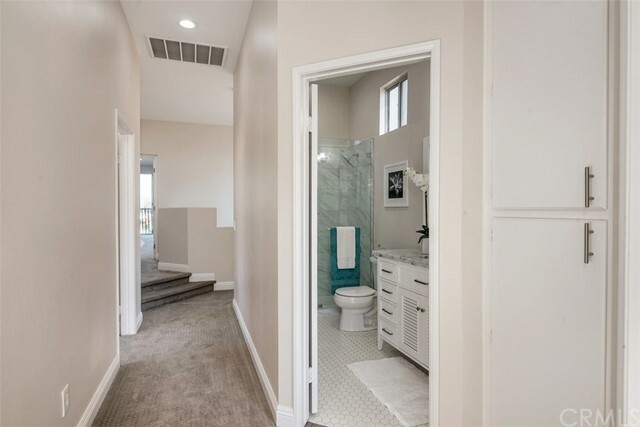 Desirable features include convenient downstairs office or optional fifth bedroom, tasteful ceramic wood flooring, neutral designer paint, new carpeting, LED lighting, and custom iron stairwell. 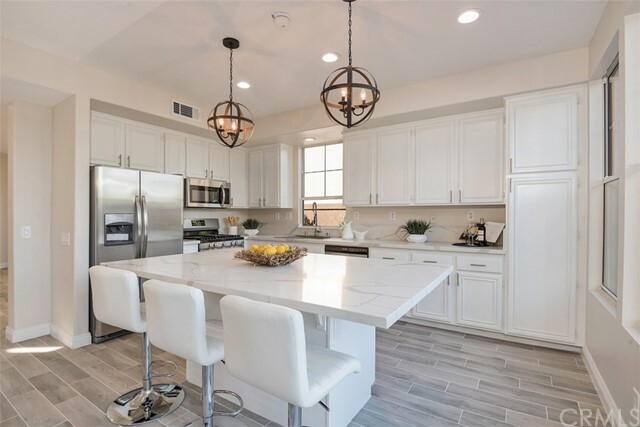 The gourmet Chef’s Kitchen offers quartz countertops, a spacious island area, brand-new stainless-steel appliances with a 5-burner stove, refrigerator, and detailed finishes. 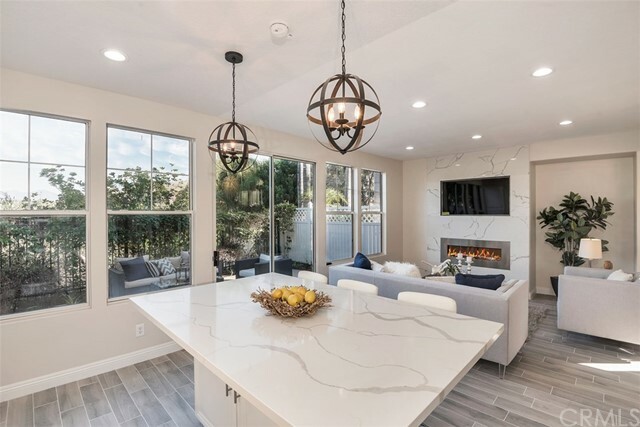 The inviting living room is home to an electric fireplace, nestled below a built-in 55” TV on a distinct floor-to-ceiling quartz wall. 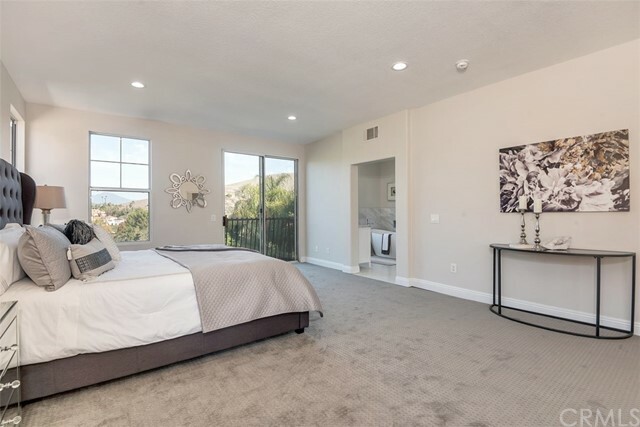 Upstairs you will find a spacious master bedroom with a generous master retreat. 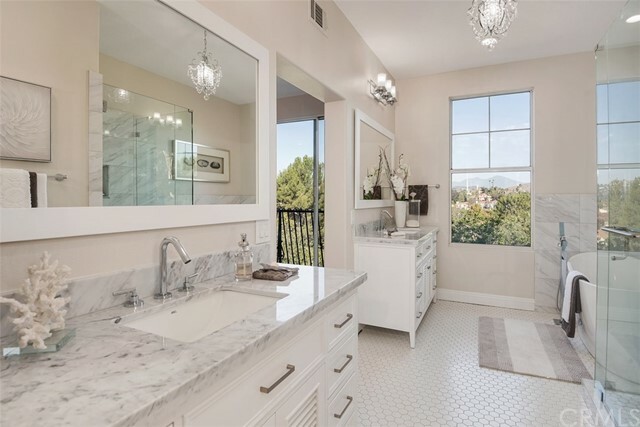 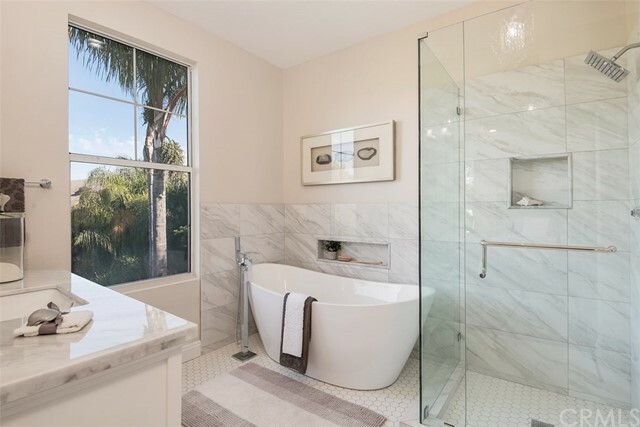 Upon entering the master bathroom, you will find Carrara marble-top vanities with a chic crystal chandelier, waterfall-spout faucet, contemporary master bathtub, Italian tile walls and a walk-in closet. 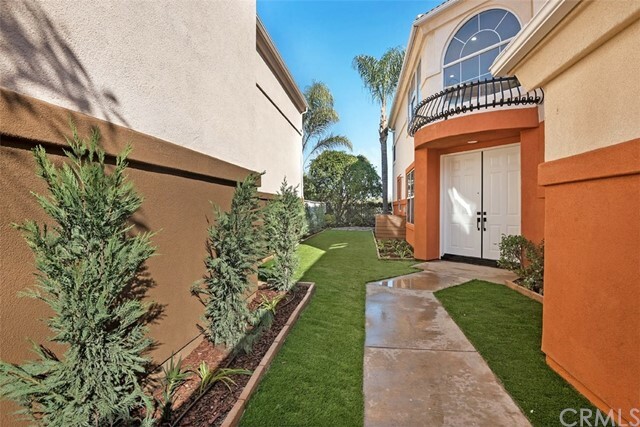 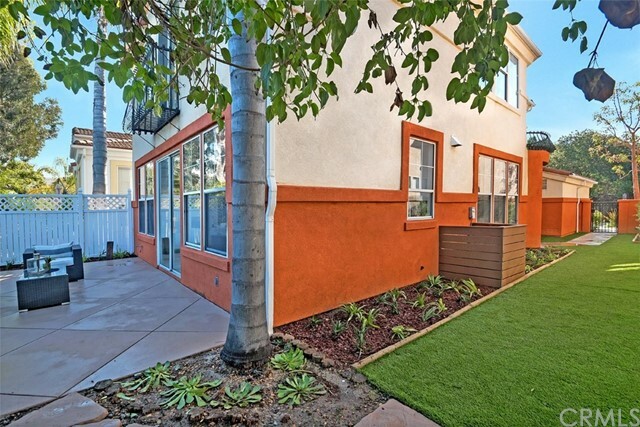 High quality, artificial turf, wrap-around patio and peaceful tree-lined views create an enjoyable outdoor atmosphere as well. 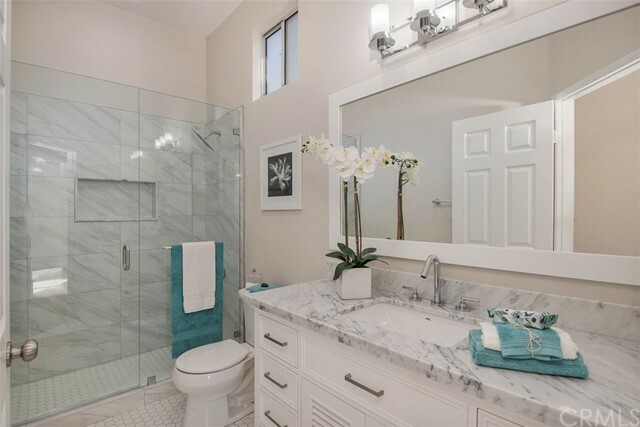 With the perfect combination of style, class and comfort, this home is truly a must-see.